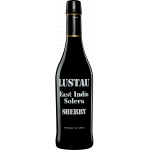 Lustau is the maker of this Lustau East India Solera , a fortified wine from the region of Sherry produced with palomino fino, palomino and pedro ximénez grapes. 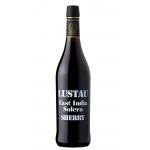 Uvinum users rate this fortified wine with 4 out of 5 points. What's the evaluation of the Lustau East India Solera? What are the opinions of other vintages or volumes of Lustau East India Solera?